Canadians have always believed their Banks could be trusted for advice on where to invest for their future and their money and their children’s. But that is now in question when the CBC exposed that bank employees are forced to sell and at times deceive customers on fees they pay and load them with products they may not even have signed up for. In previous articles we’ve looked at whether companies licensed to sell RESPs like Banks, Group RESP companies and investment advisors are disclosing to parents the Rules attached to the RESP which dictates what university or education their children can study when they are 18 if they want to use the funds in their RESP. Now we’re looking at whether Banks and Group RESP companies are disclosing all the fees being charged to your RESP accounts and investments. According to the 2015 Canada Education Savings Program Annual Statistics Review, parents deposited $4.1 Billion into their children’s RESP accounts in 2015 alone. As of 2015 the total amount of money Canadians have in their children’s RESP accounts is $47 Billion. That’s correct, Billion. So, what’s in it for the group RESP companies and Banks to continuously promote RESPs and dangle the Government Education Grants of 20% you will receive? How many of these companies will accurately disclose to parents how much fees they will pay the Bank and Group RESP companies in fees to open and manage their accounts? 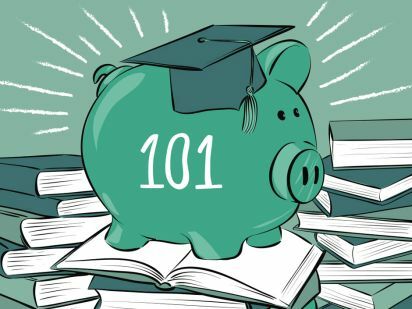 As far as parents are told by bank advisors selling mutual funds, they will deposit $2,500 to their children’s RESP account every year and receive $500 the maximum education savings matching grant from the government, no strings attached. When parents asked are there any fees in the RESP they are routinely told “no”, which is correct since the government doesn’t charge you for opening an RESP account and receiving the grant. However, the Banks and Group RESP companies will. The actual question should be “How Much Will Your Company Charge Me Every Year To Hold And Manage My RESP Account”? Let’s look at the fees charged by companies like banks and group RESP companies who are licensed by the CRA to sell RESP accounts. Bank fees are indirect and well hidden in a variety of services and accounts. Since banks promote the choice of RESP accounts when parents open an RESP account with a variety of options. For example, Account Management Fees from all banks average between $50 and $100 a year. If you deposit $2,500 to your child’s RESP and receive $500 from the government the bank will take $100 of that as their fees for managing the account – each and every year. If you want to pick your own investments you will be directed to their online stock trading platform which will have trading fees. The bank will waive the annual RESP account management fees if you conduct regular trades. If you do at least 10 trades per year with an average cost of $10/each then the bank will earn another $100. If you’re not comfortable with making investment decisions then the bank will offer you a mutual fund to invest your RESP funds. While you won’t be paying trading fees, mutual funds come with significant fees. Management Expense Ratio (MER). Annual fees charged to your mutual fund which could be as high as 4% of total amount in each mutual fund you own. For example, if you have an RESP account with $5000 in mutual funds, the MER can be $200 each year whether your investments are doing well or not. While saving for your children’s education is important, make sure you ask the right questions about how much RESP providers will charge you in account, investment and management fees to see what will be left for your child’s future. Child Plan™ is Canada’s fastest growing alternative to RESP. It’s a secure and flexible way to invest in your child’s future.